Our friends are just finishing up their basement and had a brilliant idea that we just had to copy, turning your basement doorway into an archway! When we finished our basement over five years ago, we removed the door and filled in the hinges with putty. We wanted to make it a continuation of our home, and not feel so much like a 'basement'. 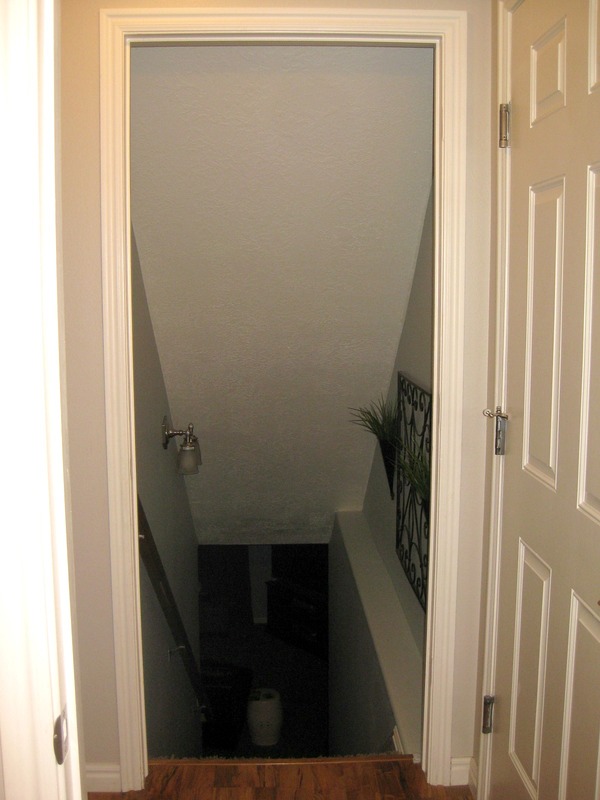 Unfortunately, it still looked like 'someone just took off the door to the basement'. After hearing of their great idea we decided to have ours done by the same contractor while he was completing theirs as well. The basement now feels more of an extension of our home, rather than a separation.